Paris, France. Photo by Chris Karidis. Student Life is offering an 11-day trip to France in June 2019. This trip is open to all UMA students*. Tour Tanguy in Brest. Photo by Julien Carnot. We will stay for 5 nights in the city of Brest in Brittany, which is on the coast and has a culture all its own. We will stay at the dorms at the University of Western Brittany. 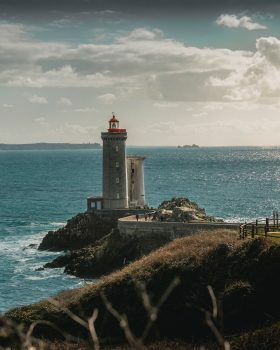 Excursions will include the quaint town of Quimper, the Aquarium, and the village of Le Conquet, overlooking the Atlantic ocean! From there, we will take a train to Paris and stay for 4 nights in a youth hostel. Students may be in co-ed housing as the youth hostel rooms are for two students. We plan to visit the Louvre and Musée d’Orsay museums, and enjoy a walking tour! Transportation, housing, activities, and most meals are included. There are only 20 spots available on the trip and lottery registration will occur Oct. 15-18th to allow everyone to have a chance to participate in the trip. Please stop by the Office of Student Life, RSC 204 or call (207) 621-3374 to put your name in the lottery. EMAIL REGISTRATIONS WILL NOT BE ACCEPTED. Names will be drawn and scholarship recipients will be notified on Oct. 19th. You will need a passport to travel by Jan. 22nd. 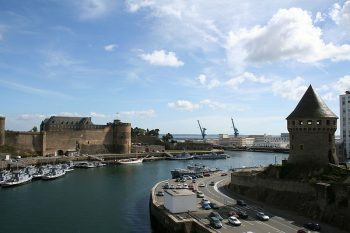 Brest, Brittany. Photo by Gautier Salles. The cost of the trip to students is $1000 total (first $500 payment due October 23rd, second $500 due on January 22nd). There are 6 $500 scholarships available for students–you simply have to write a short paragraph explaining why you deserve the scholarship (fill out application form below). Hope you will consider joining us! *UMA’s Student Life trips are funded primarily by student fee dollars and as such, students taking at least one 3-credit course in Fall 2018 (with standard associated student activity fees) will receive priority access to enter the lottery for the opportunity to purchase a seat for this trip. Students enrolled in courses with reduced student activity fees will be offered the opportunity to be entered in a second lottery on Dec. 3rd date should slots still be available. Students under age 18 must have permission from their parent or legal guardian. Professor Chelsea Ray is teaching HUM 389 next spring on Thursdays from 1-3:45 on the Augusta campus. There is also a synchronous option for distance students (click below for details) You do not need to be traveling on the trip to take this course. 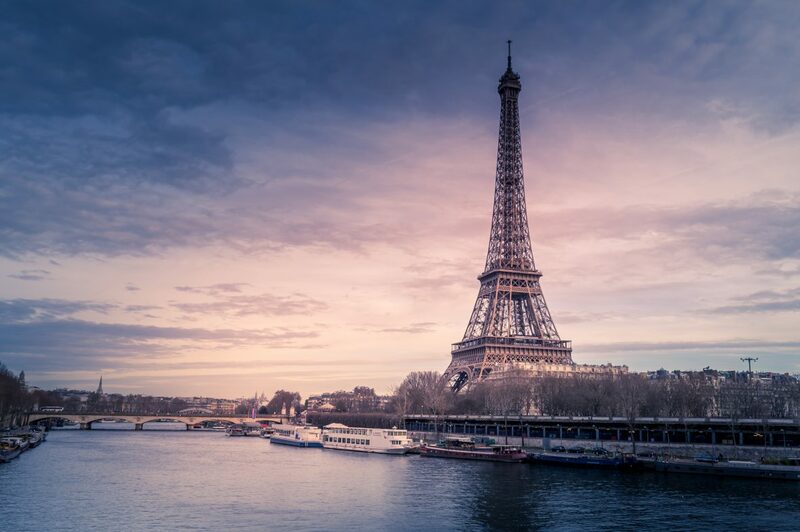 If you are interested in learning more about France, please consider joining us! If you are coming on the trip, this course will give you additional background in French history and society to better appreciate the culture as you experience it. This course offers the opportunity to learn more about the history of France, as well as contemporary French culture. We will discuss major events as well as key personalities throughout history, as well as current events in France today. Particular attention will be paid to cultural differences and how this knowledge can be used to understand our own culture, as well as other cultures. The face-to-face course on the Augusta campus is being offered with a Zoom option for distance students. Distance students can attend class live via Zoom from home, and must be available to participate on Thursdays from 1:00 – 3:45 pm. Zoom is easy to use and you will be shown how to install and use this program. Please contact the instructor for additional information: chelsea.d.ray@maine.edu. The application form for the scholarship will be available here from Oct. 15th-Oct. 18th. The deadline to apply for a scholarship is Oct. 18th at 4:00 p.m. Please use the following form if you wish to apply for a $500 scholarship for the trip to France. Only students whose names are drawn to go on the trip will be considered for a scholarship. Recipients will be notified on October 19th via email. All students participating in the trip, regardless of whether they get a scholarship, will need to pay the first installment of $500 by October 23rd. Please note that the application form does NOT register you for the trip. You must call the Office of Student Life at 621-3374 or go to your site, campus or center to put your name into the lottery for the trip between Oct. 15th-18th. The scholarship application is not sufficient—you must complete both steps. The application period for scholarships ended on October 18th at 4:00 p.m. Applications are no longer being accepted.